FIVE WILLOWS LITERARY REVIEW This is an online literary review of the Chrysanthemum Literary Society for selected works that fit the spirit of Mr. Five Willows.Please see our "Current Issue" for guidance. Send your work via email to fivewillowsliteraryreview@gmail.com both in the body of the email and as an attached Word file. Response time is immediate to 2 weeks. Thank you. All donations are tax-deductible. 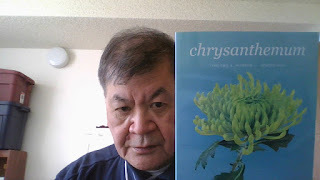 We are planning to resurrect Chrysanthemum poetry anthology. Please stay tuned. "I have told you the fragility of my love"
(c) copyright 2014-2019 Koon Woon & the Chrysanthemum Literary Society. Picture Window theme. Theme images by Ollustrator. Powered by Blogger.